It is replaced by the Honeywell RP Series. The microFlash 4T is a very rugged mobile printer that can print labels or receipts and was designed for applications in manufacturing, route accounting, distribution, transportation and logistics. 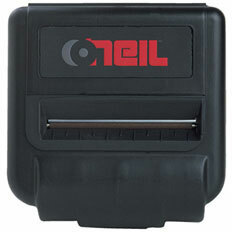 This compact unit is made to get tossed around, dropped, and beat-up while still maintaining high quality print. Normally you would pair this printer with a mobile computer like a Motorola MC9500-K but since it has Bluetooth and Wi-Fi options it will work with a tablet or even a smart phone. Any mobile application that needs printing on the go that they don’t have to worry about, the microFlash 4t is a very durable device that will not fail you in the field.